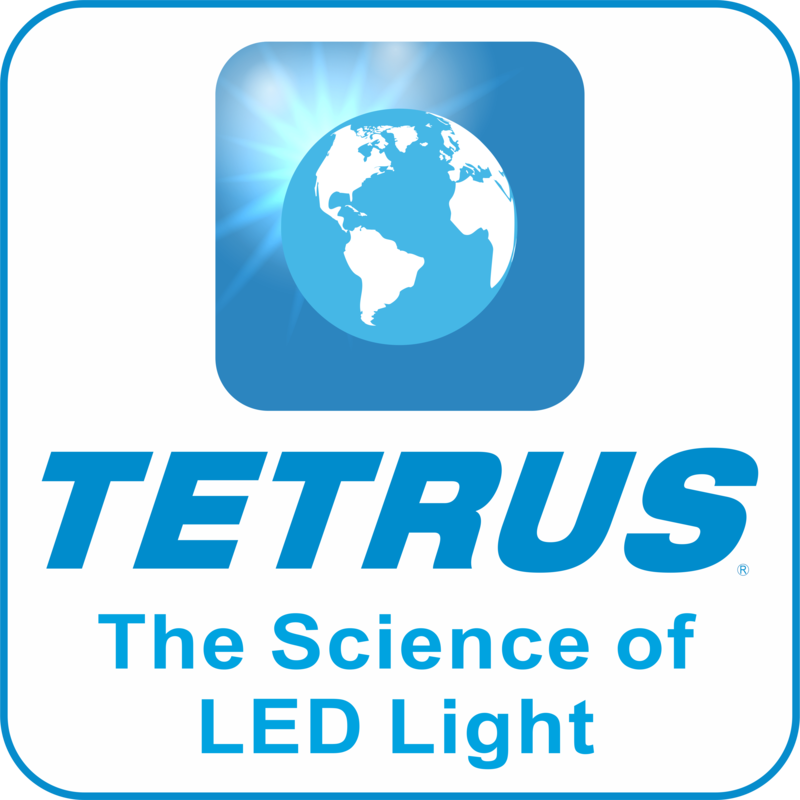 Headquartered in Milford, Delaware, Tetrus is a top-to-bottom LED lighting provider. As a result, we design, manufacture, finance, install, warranty and service our LED fixtures. Furthermore, we feature unmatched experience in the maintenance of lighting solutions for commercial and industrial facilities and outdoor areas. Our specialization is LED commercial outdoor lighting and industrial lighting. LED technology is changing the face of commercial outdoor and industrial lighting. Thus, businesses are now able to reach higher levels of energy savings and economic growth. However, we believe that LED technology is in its infancy. As a result, it has not yet reached its full potential as far as economic and illumination performance. To this end, Tetrus remains at the forefront of the latest developments in LED technology. Consequently, we constantly improve the application of light to effect long-term benefits to our customers and their businesses. Tetrus started as American Sign & Lighting more than 30 years ago. Specifically, American Sign & Lighting is an established sign and lighting contractor with a reputation for excellence. Moreover, it has dedicated exclusively to servicing commercial and industrial outdoor lighting systems. American Sign & Lighting operates through a comprehensive network of certified electricians. Additionally, we have specifically focused on commercial outdoor and industrial lighting. Thus, we have serviced more industrial and exterior lighting than any other company on the East Coast. Lights serviced include parking lot, wall pack, canopy, high bay, high mast, parking garage, street, and tunnel lights. We do not do banners, outlets, residential lightbulbs, building wiring, or interior lighting. Thus, our niche is outdoor and industrial-grade lighting. After three decades in the industry, we’ve grown to boast a diverse customer base. As a result, our diverse portfolio includes shopping centers, car dealership, gas stations, fast-food restaurants, and hotels. Also, we’ve worked with manufacturing facilities, warehouses, hospitals, universities, municipalities, and more. Furthermore, our portfolio features names such as Taco Bell, McDonald’s, Sherwin Williams, Wendy’s, and Blockbuster, among many others. They are all long-term clients because they know we really care about their business. Eventually, we have become their trusted advisor. 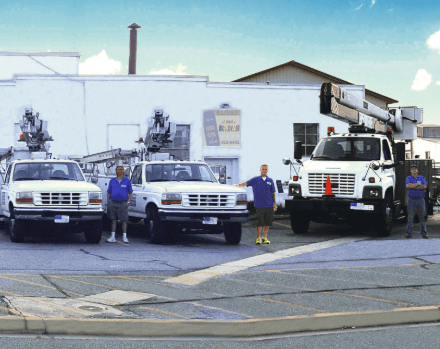 We service from bucket trucks fully-stocked with everything you could possibly need. Therefore, we can completely eliminate return trips and dramatically reduce overall costs. Hence, we have more experience in the commercial outdoor and industrial lighting industry than any other East Coast lighting company. Existing LED fixtures for commercial and industrial facilities must be replaced every 3-5 years because they cannot be serviced. They are designed in such a way that electricians cannot get inside the fixture to replace a defective part. Or, if they can get inside the fixture, the parts are no longer available from the manufacturer. Also, it costs too much money and takes too long to find compatible parts from other suppliers. In addition, warranty departments make it very difficult and complicated to validate warranties. As a result, clients will have already paid for a new fixture by the time the manufacturer validates the warranty. Since you must replace the whole fixture every 3-5 years, all savings made possible via LED technology amount to nothing. After more than 8 years of servicing LED fixtures, we’ve come to realize that manufactures have never intended for their fixtures to be serviceable. Therefore, we decided to add design and manufacturing to our business and build a different type of LED fixtures. Today, Tetrus designs, manufactures, installs, and services LED lighting for commercial outdoor areas and industrial facilities. As a result, we designed the perfect LED fixture engineered to last, unlike competing fixtures that are engineered-end-of life (EEL). The design of the Tetrus LED fixture permits quick and easy access inside. Thus, an electrician can evaluate which part is malfunctioning and quickly replace it. It could be the LED driver, LED component, or wiring harness. Also, all components are standard for all our fixtures, irrespective of wattage. Hence, our trucks can roll with stock and fix whatever fixtures fit your facility. The LED component is modular. Thus, it consists of several independent 50W LED modules. For instance, a 100W LED fixture consists of two 50W LED modules, a 150W LED fixture consists of three 50W LED modules, and so on. Since each 50W LED module is independent, the Tetrus fixture will continue to shine even when one module goes out. Also, the module is standard in all fixtures. Tetrus focuses exclusively on commercial outdoor and industrial lighting. Accordingly, these lights need to withstand harsh environmental and rugged industrial conditions. Therefore, we have developed sledgehammer-tough and ocean-proof fixtures. They will continue to shine despite the tough settings. Not even vandals and criminals that hate well-lit areas can stop them from shining. In addition, we equip our fixtures with LEDs that boast the highest efficacy in the industry. Why? Because a higher than average lumen output allows our clients to enjoy even higher energy savings. Furthermore, we enhance our high efficacy by multi-patented light distribution. As a result, our clients pay only for the light they need at a surface of interest at any given time. Tetrus brings into play the ideal outdoor LED lighting fixture that has a perfect set of characteristics. Standardization + modular design + serviceability + durability + highest efficacy + better quality of light. Therefore, the Tetrus fixture saves you money because you can fix it and never have to replace it. Also, its modular design affords the lowest possible maintenance costs. Furthermore, its durability keeps it shining in the most difficult of circumstances. And, if that wasn’s enough, our fixture has the highest lumen output as well as the best light distribution. We are your one-stop LED lighting provider. As a result, we handle everything from design and manufacture to sales, installation, financing, warranty, and service. And we will continue to do so for as long as our lights shine on your property. We do not delegate our responsibilities to third-party contractors or middlemen. And, we want to take care of all things lighting so that you never have to worry about lighting again. Moreover, we’ve turned this philosophy into a business model! We understand that each business, each location and each industry has different illumination and economic performance requirements. In other words, different settings call for different solutions, especially when it comes to commercial outdoor and industrial lighting. Based on the photometric analysis of your location, we devise the most appropriate LED lighting solution for each of our clients. Also, we factor in elements such as your business priorities when we design the ideal lighting plan. Our experience in the lighting arena has led us to understand the hardships faced by clients as they try to have LED manufacturers honor warranties. Hence, we feel that it is our responsibility to stand behind our warranty every time. And, the only way to achieve that, is to make ourselves available for our customers ALWAYS. Thus, we have a 24/7 service line where you can talk to a real person trained to efficiently handle all your concerns, be it sales, service, or warranty related. From the first call to ten years after the sale, we will be here, helping you today, and tomorrow. Thus, we will be here for as long as our lights shine above your business. So, you don’t have to worry about lighting problems ever again and you can go back to doing YOUR business. We have been doing just that for over 30 years with some of the largest, and smallest, companies in America. We’ll always take care of you. We will never sell you products that have been engineered-end-of-life or engineered-to-fail in a number of years. Tetrus will equip your facilities with ultra-efficient LED fixtures that pay for themselves in 12-24 months. Then, you may start enjoying the savings for many years to come. Most importantly, we will always be here for you, and that is our light-time pledge to you, our customer! Request Data for Your Location Type!